What are the processes of exclusion and inclusion amongst girls’ friendship groups? Can friendship and bullying coexist? Is the leader in the class always the most popular member of the class? What is the role of the teacher in consolidating group friendships? How are culturally diverse friendships negotiated? What impact does the process of transition from primary to secondary school have on existing friendship networks? Through an exploration of the emotional and social dynamics of young girls’ friendship groups, this book addresses these and other questions, which are important in their lives. The girls that feature in this book are inner city preadolescent girls as they transfer from their inner city primary school to their secondary schools. The schools are all located within an urban context and represent the state and public sector of education. 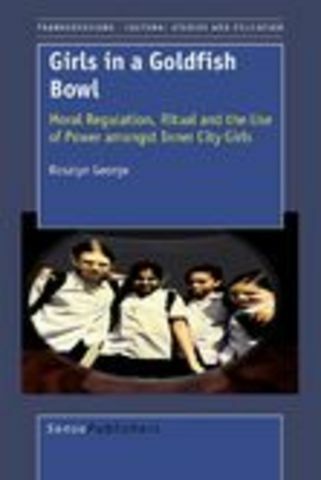 The girls encompass the diversity of ethnicities that are found within large urban communities and how they negotiate and manage their friendships across ethnic divisions is a key aspect of this book. By focussing on the constitution of the friendship groups, questions of ‘leadership’ and ‘popularity’, ‘race’ and ethnicity and ‘bullying’ are interrogated and their resonance for the ‘exclusionary’ and ‘inclusionary’ practices which often characterise friendship groups are examined. This book highlights the emotional investment girls make in their friendships and will support teachers, youth workers and others working within educational contexts, in making visible this previously unattended aspect of young girls’ lives.